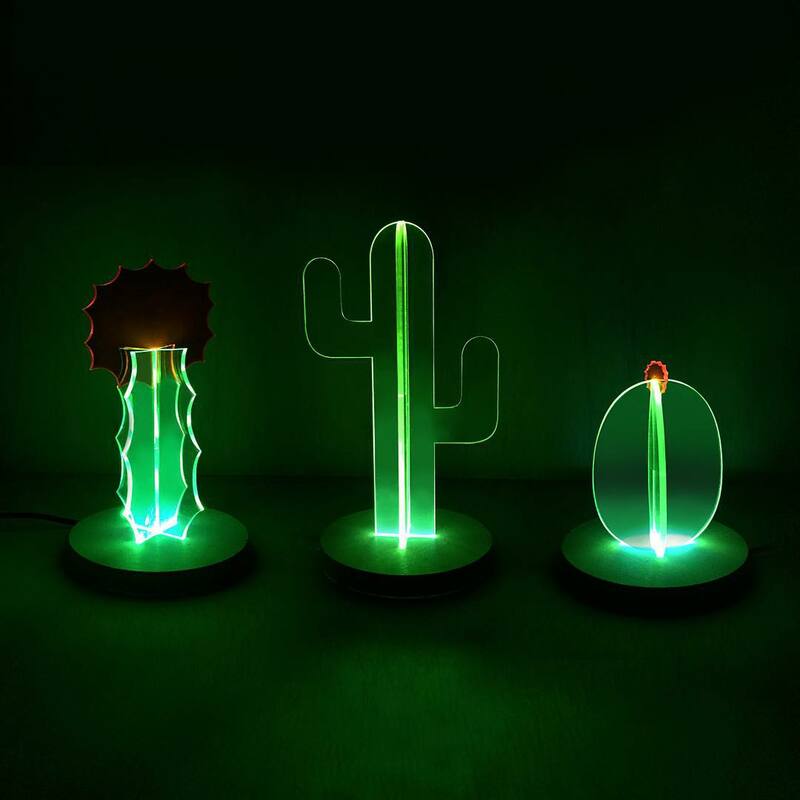 Designed as a night light, the cactus lamp also offers a subtle glow during the day due to the fluorescent material it is cut from. To this effect, the sculptural piece can act as both a day and night lamp. The fitted base, also cut from acrylic, is wired with UV blacklight LEDs which helps bring to illuminate the piece at night. 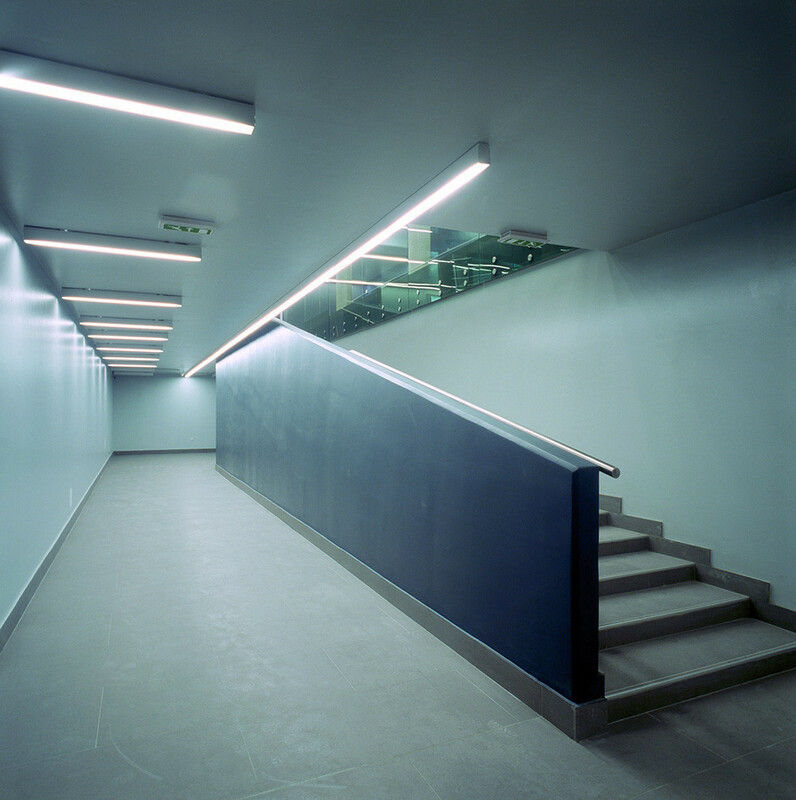 The interaction here is made possible because of the way fluorescent materials respond to natural and UV lighting. 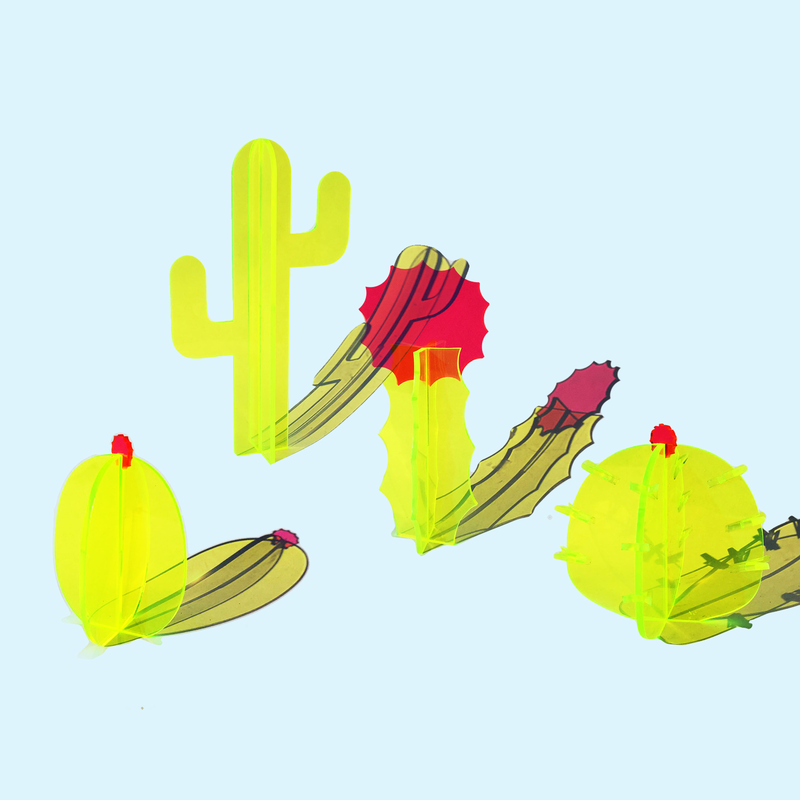 The lamp base itself is cut to fit all cactus styles, making the design fully interchangeable. 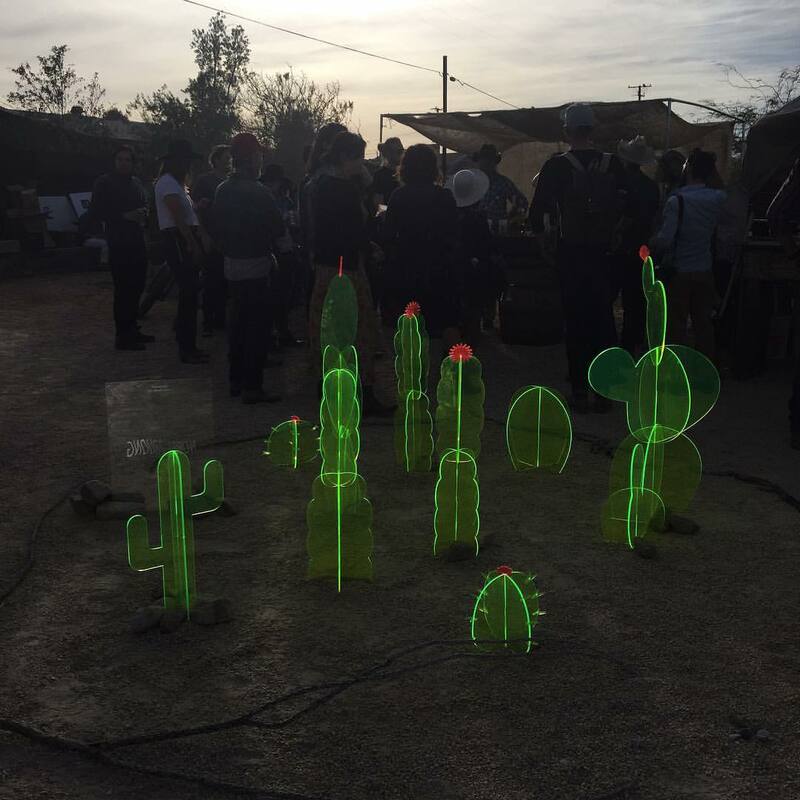 The commercial version of the cactus sculpture is available in three different species (moon, echinosarous, and saguaro), where as the full scale cactus garden sculpture installations include 20+ different cactus species. 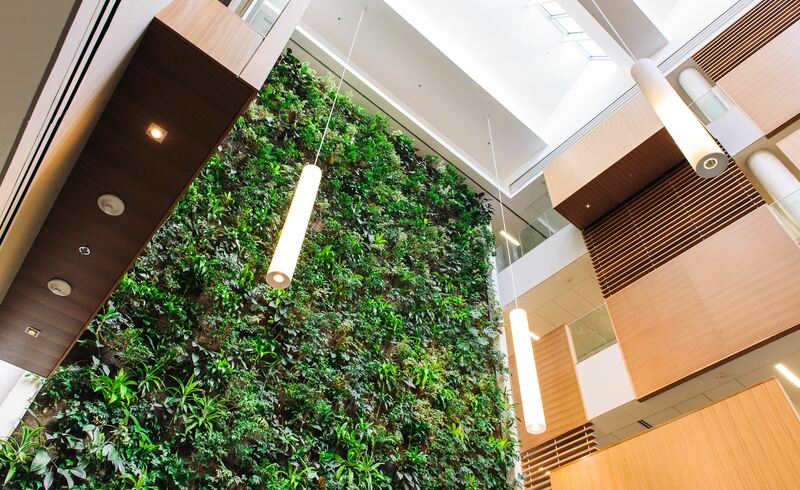 The pieces are laser cut, wired, assembled, and finished in Los Angeles, California by Nobel Truong.